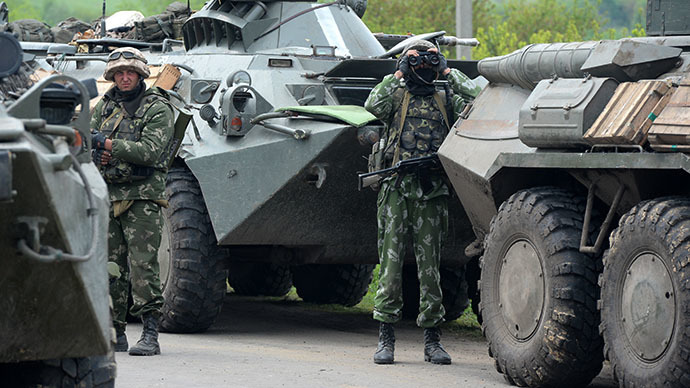 1 juin 2014 – Star Wars tested for Eastern Europe; US space weapons “unofficial declaration of war”; “soft assassinations” planned for last weekend’s EU election winners. Seek truth from facts with ‘Gladio, NATO’s Dagger at the Heart of Europe author and former Member of the European Parliament Richard Cottrell; Stop NATO newslist’s Rick Rozoff; and Bruce Gagnon of the Global Network Against Weapons and Nuclear Power in Space. Pope Francis I has been portrayed in chorus by the Western media as a champion of “Liberation Theology” committed to global poverty alleviation. Who is the Real Pope Francis I ? Jorge Mario Bergoglio (Pope Francis I) was one of the main supporters –within the Catholic hierarchy– of Argentina’s military dictatorship which came to power in a CIA supported coup in 1976. Jorge Mario Bergoglio not only supported the dictatorship, he also played a direct and complicit role in the “Dirty War” (la guerra sucia”) in liaison with the military Junta headed by General Jorge Videla, leading to the arrest, imprisonment, torture and disappearance of progressive Catholic priests and laymen who were opposed to Argentina’s military rule. Late in the evening on 6 June this year an unmanned drone was flying high above the Pakistani village of Datta Khel in north Waziristan. 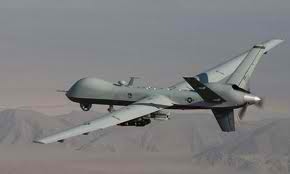 The buzz emitted by America’s fleet of Predators and Reapers are a familiar sound for the inhabitants of the dusty hamlet, which lies next to a riverbed close to Pakistan’s border with Afghanistan and is a stronghold for the Taliban commander Hafiz Gul Bahadur. As the drone circled it let off the first of its Hellfire missiles, slamming into a small house and reducing it to rubble. When residents rushed to the scene of the attack to see if they could help they were struck again. According to reports at the time, three local rescuers were killed by a second missile whilst a further strike killed another three people five minutes later. In all, somewhere between 17 and 24 people are thought to have been killed in the attack. The Datta Khel assault was just one of the more than 345 strikes that have hit Pakistan’s tribal areas in the past eight years but it reveals an increasingly common tactic now being used in America’s covert drone wars – the “double-tap” strike. More and more, while the overall frequency of strikes has fallen since a Nato attack in 2011 killed 24 Pakistani soldiers and strained US-Pakistan relations, initial strikes are now followed up by further missiles in a tactic which lawyers and campaigners say is killing an even greater number of civilians. The tactic has cast such a shadow of fear over strike zones that rescuers often wait for hours before daring to visit the scene of an attack. The turbulent ramifications of last week’s New York Times story detailing the operations of Barack Obama’s White House death squad continue to reverberate across the country today, sending shock waves through Washington and bringing crowds of outraged protestors to the …. Just kidding! As we all know, there have been no “ramifications” at all from this shocking story, no scandal whatsoever surrounding the fact that the President of the United States and his aides meet every week to draw up lists of people to be killed all over the world — even people who are completely unknown, who might simply be “behaving” in unspecified ways that some desk jockey somewhere has decided might possibly be indicative of malign intent. <No scandal, no consequences, no imbroglio, no brouhaha; the caravan moved on — and the dogs didn't even bark.